Every age has its heroes. Singular men, whose prowess and virtue have raised them above mere mortals, and who have forged their own fates through their determination, courage and strength. Their names have survived the passage of time: King Arthur, William the Conqueror, Achilles and Conan. Whether they were born in popular legend, the fertile minds of writers or the annals of history, they live forever in our collective memory as the most celebrated figures of ages past. 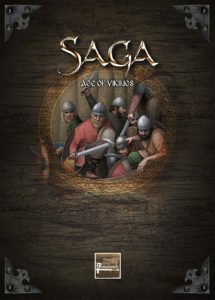 However, for each surviving legend there exist innumerable others still waiting to be written. 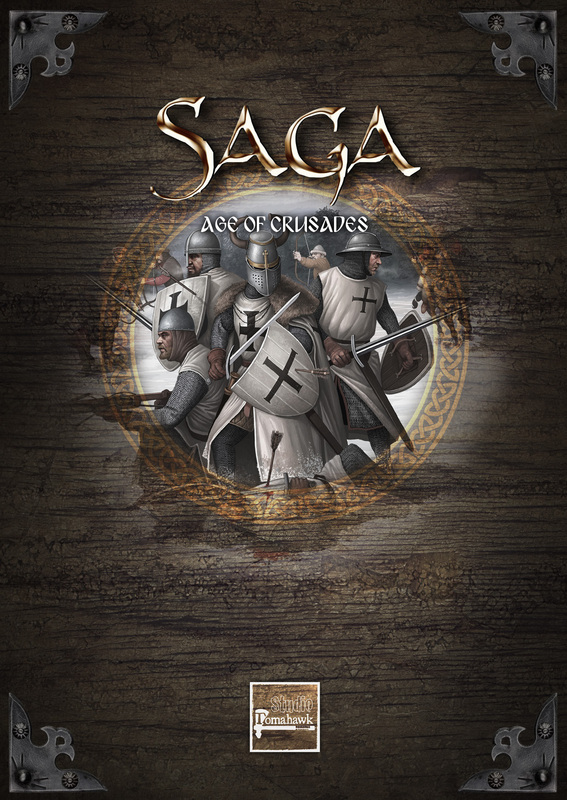 Thousands of heroes wait to prove themselves on the battlefield, to speak with fire and steel, and to carve their mark on the world around them. 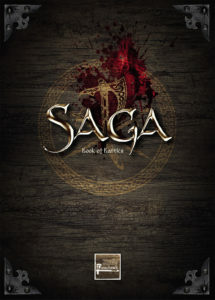 With the book in your hands, you have the unique opportunity to take part in the creation of these legends and to see them master their destinies in turn. 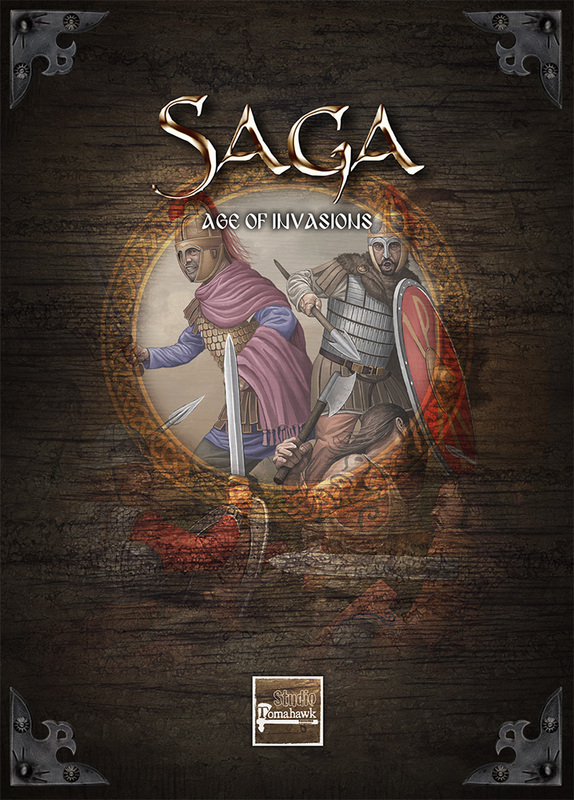 Saga is a skirmish game taking place in the heroic ages, whether they are historical, mythological, or sprung from the minds of writers. 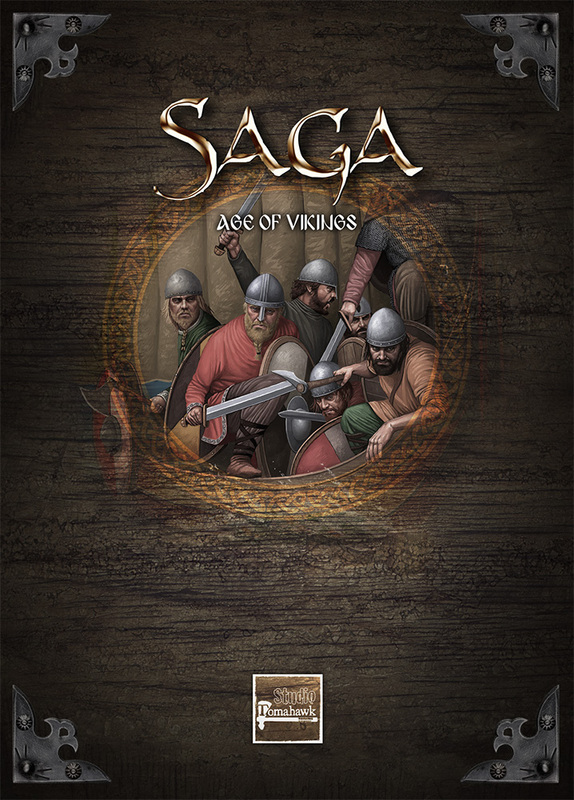 It brings to life the battles between exceptional warriors – Warlords, who defy their enemies on the battlefield at the head of their warband. This game puts you at the head of one such warband, made of thirty or so figures, and lead by your heroic alter-ego. 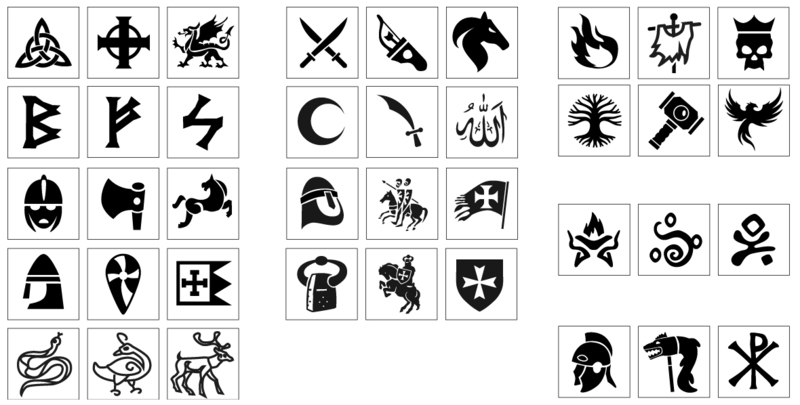 Each warband is chosen from among the available Saga factions, and has a specific Battle Board and Saga dice which grant them particular abilities in battle and reinforce their identity. 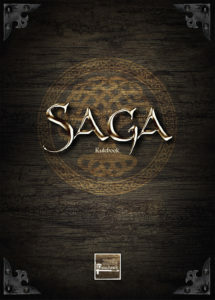 This book contains Saga’s simple and innovative basic rules. They are easy to learn and illustrated with numerous examples which apply to all the universes you might explore. 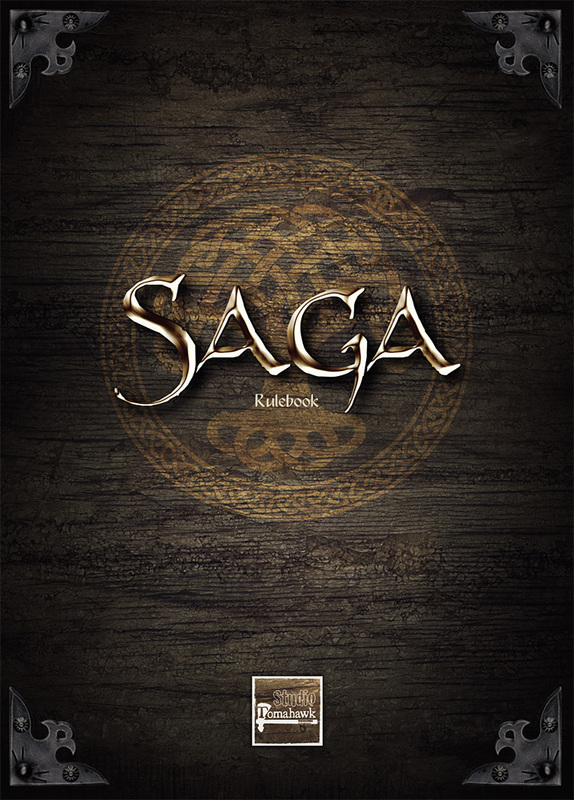 These rules are the fruit of years of development and the contributions of a large community that plays Saga all around the world. 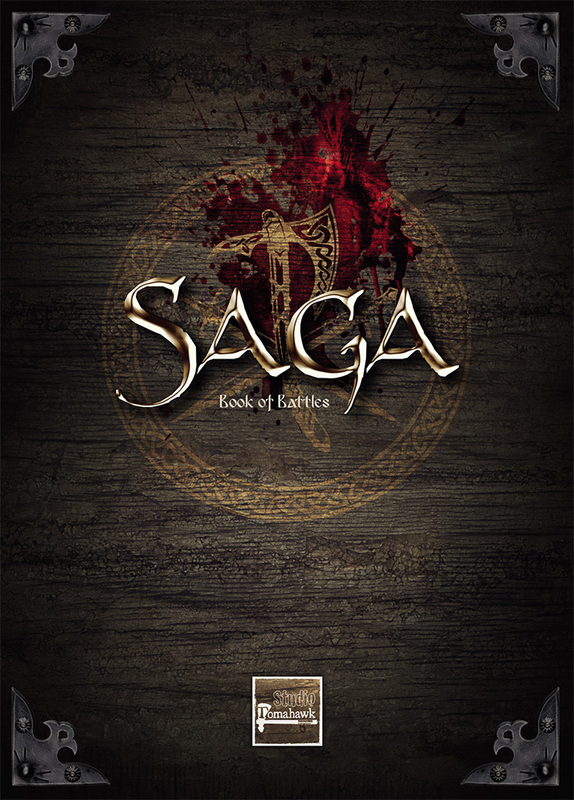 Once you’ve read this book, all that’s left for you to do is to choose a Saga Universe from the array available, assemble your figures and write your legend! The Universes Saga, are supplement presenting the special rules of a period, its factions and including the battle board of these protagonists. additional usable with any of our universes. → Cards "Battle of heroes"